It is my honor to invite you to the #ForBulgaria exhibition at Intersec in Dubai, 21-13 January, 2018. Intersec is the leading trade fair for Security, Safety and Fire Protection with more than 1,300 exhibitors and 33,000 visitors. 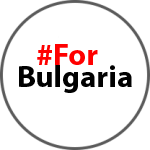 #ForBulgaria will redefine vertical rescue as we know it. There will be a presentation for innovative extreme training for rescue operations, where government officials, industry leaders, experts and entrepreneurs share ideas, explore technologies and join forces to shape the future.